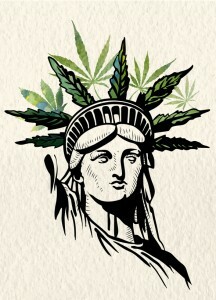 This week, New York has become another U.S. state to allow the use of medical marijuana. Eight dispensaries have opened so far, each supplying a variety of tinctures, vapors, concentrates and other forms of the drug. 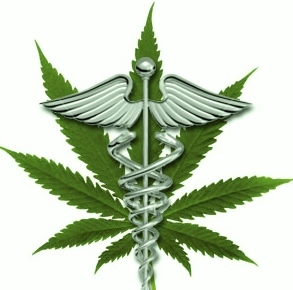 How many patients will acquire services from the dispensaries is still unknown. 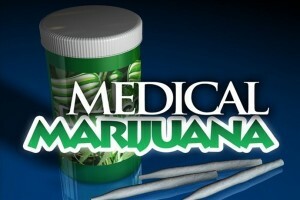 Last Thursday, New York’s Department of Health stated that 51 patients have been approved to receive services. New York is a late comer to the medical marijuana arena, joining states like Montana and California, which legalized medical medicine in 1996. Thus far, New York’s program only allows for medical marijuana for certified patients that have H.I.V./AIDS, cancer, Parkinson’s disease, neuropathies, Huntington’s disease, epilepsy, multiple sclerosis, intractable spasticity, and inflammatory bowel disease. New York’s medical marijuana marketplace was the result of years of lobbying and debate. Supporters believed that bringing medical marijuana into New York would be a lifesaving decision for patients who need the drug to fight debilitating illnesses. Even after legalization, opponents demanded strict regulations that limited how many dispensaries are allowed within the state and how the drug is used. For now, New York is only allowed to have 20 locations and patients are not allowed to smoke the drug within state lines. Some wonder why it has taken New York so long to legalize medical marijuana. But the state is home to the 1970s Rockefeller drug laws, which harshly penalize drug use and drug users. In 2014, Governor Cuomo brokered a deal to legalize marijuana for medical use at the end of the 2014 legislative session. But the bill still places a number of restraints on dispensaries, allowing the state to “pull the plug” on operations at any time if public health or safety are jeopardized. All eyes are on New York as patients start to receive products for treatment. Some hoping that the process goes smoothly, and others hoping it vanishes in smoke. Marijuana Merchant Account (MMA) offers a variety of marijuana payment solutions like debit cards, credit cards, checks, and more. 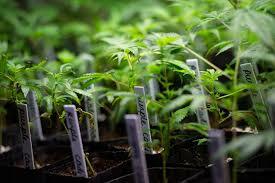 We provide a variety of marijuana merchant account services for law abiding dispensaries. New York recently awarded five medical cannabis businesses licenses to operate in the state. Despite official recognition, the winners will most likely have a hard time finding a financial institution to provide services. Although the Obama administration vowed to not prosecute merchants who operate lawfully, there is still too much ambiguity in federal laws in regards to responsibility and regulations for banks. Currently, regulations state that banks are responsible for monitoring cannabis accounts and ensuring compliance. Banks are also required to report any suspicious activities. Neglect to monitor cannabis accounts could result in severe punishment. 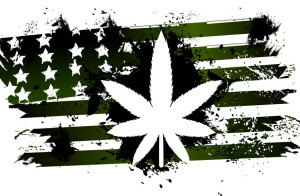 A handful of major banks like TD Bank, Key Bank, Wells Fargo, PNC Bank, and JP Morgan Chase have stated that they will not do business with the marijuana industry in New York or anyplace else unless the federal government gives more clarity. This leaves the five licensees in New York with few opportunities with the big boys. However, some of the licensees are planning to bank with smaller institutions. Columbia Care believes they will find a banking service soon that will give customers a variety of payment processing options like ATM or debit cards. Empire State Health Solutions, a second licensee, says it is currently finalizing a banking deal. While another licensee, PharmaCann, is “in discussion” with New York banks. All 3 licensees declined to identify which banks they’re negotiating with. As the market for medical and recreational marijuana grows, the needs for larger institutional services becomes more real. That’s why companies that manage to obtain licenses are fighting hard to do business with major banks as seen in New York, Nevada, Colorado, and California. Despite small gains in the state to state fight, all merchants agree that the market will only reach its full potential if the federal government makes a cohesive policy on banking with cannabis merchants. Marijuana Merchant Account (MMA) offers a variety of marijuana payment solutions like debit cards, credit cards, checks, and more. Don’t wait on the federal government or big banks to support your merchant account. Even though New York has legalized medical marijuana sales and usage, merchants are still having issues finding a marijuana business funding source. While most of the major US banks are headquartered – or have offices – in NYC, they are turning down applications from these merchants, due to its stance in the Federal law. Banks are regulated by the Feds, and marijuana is still illegal in the Feds’ eyes, so it is only natural that the banks want to protect themselves. However, it is legal in NYC, and these merchants must have a way to process payments. With the amount of controversy surrounding this issue, it would seem that NYC is snowed under with dispensaries. The fact is, there are only five. Yes, five legalized medical marijuana dispensaries. It seems as though five may not do much damage to a bank or processor, but you have to consider that the goods are not legal in the Feds eyes, and that one chargeback can send a company spinning. One of the licensees is the talks with a processing source, and another is positive that they will find a source. The ability to accept plastic card (i.e. 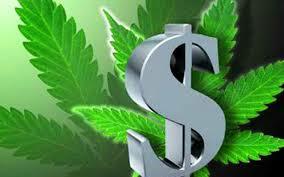 debit and credit card) payments tremendously helps businesses, and medical marijuana businesses are not different. Besides the ease of payment acceptance, it is also safer. “Cash Only” businesses are targeted, and once they money is gone, it’s gone. Medical marijuana merchants from the 30+ states in which it is legalized are also having issues finding a cooperative marijuana business funding source. From payment processing to business cash advances, it is tough finding anyone to deal with your business. Luckily, there are some available, such as MMA, who offer up service and expertise in the industry. Regardless of who you choose, you need to make sure that they are indeed experienced in the industry, because this industry is one of the fastest to change, due to ever-changing states laws. Dealing with the local government is tough enough, but many times these processors must deal with the Feds, as well. You need to make sure that your processor will not back down and dump your account when the government comes calling. This has happened, and it leaves the merchants, the patients, and the local economy is a mess. In July 2014, New York Gov. Andrew M. Cuomo signed the Compassionate Care Act which also authorized the marijuana outlets. The Health Department called the decision on the issued registrations a “rigorous and comprehensive” review on prospective purveyors of the drug. At the end of July, the New York State Health Department named the five organizations that would be permitted to grow and sell the drug for medical use in the state; this includes in New York City. Even with strict rules and precise regulations that were announced this past spring, the bidding for these licenses were incredibly intense. Forty-three companies submitted their applications in the hope that they would be selected. However, five, and only five, lucky companies would receive licenses. After the selections were announced, State Senator Diane Savino reassured the losers by saying, “To those who did not make the cut, stick around. New York is a very big state”. Now that the licenses have been issued, the organizations will be registered with the state. Each of them has plans to open four dispensaries statewide. According to the requirements of the licenses, the organizations must be doing business within six months. For those with conditions that are in need of medical marijuana, this means that medical marijuana could be on sale in New York as soon as the end of the year. The winning companies now have the challenge of cultivating the marijuana. Keeping in mind the large pool of potential customers, dispensaries have been planned for New York City; this includes the Queens, Manhattan and the Bronx. Etain, one of the winning companies, plans to grow the drug in Chestertown and sell the end product in Kingston, Syracuse, Albany and Yonkers. The other winning companies have also revealed their plans now that they have acquired their licenses. Bloomfield Industries plans to grow in Queens and dispense the product in Manhattan, Nassau County and two other upstate counties. Empire State Health Solutions has stated that its manufacturing facility will be located in Albany and its dispensaries will be in Albany County, Queens and two other locations. Illinois-based PharmaCannis – abbreviated name is PharmaCann – will grow its product in Hamptonburgh, located in Orange County. Its products will then be dispensed in the Hunts Point neighborhood of the Bronx as well as Syracuse, Buffalo and Albany. Even with these great milestones for medical marijuana, businesses are still struggling to secure the payment processing they need from banks to ensure their business’ profitability. Obviously, operating as cash-only is not a great option. Marijuana payment solutions through alternative providers has really become an ideal option for many marijuana companies. Application approval is much faster than a traditional source and the process is hassle-free and simple. For the entrepreneur, time is money. Marijuana payment solutions allow businesses to skip the waiting, offer their customers safe payment processing and operate their business in an efficient and profitable way. Until medical marijuana is recognized at the federal level, alternative providers will continue to prove to be invaluable. Need payment solutions? Contact us today. The Compassionate Care Act that was signed into law this past July in the state of New York has pulled it into the group of states who are accepting of medical marijuana. Despite this measure, the program remains limited from a business standpoint. In fact, much uncertainty still remains concerning how the market will fair once sales are permitted to start. There are many reforms that need to be made in order for the Act to be a success. First, state legislators or the Department of Health (DOH) need to make an expansion of the list of qualifying medical ailments that allow patients access to medical marijuana. At the moment, the list will seriously limit the traffic to the market. Secondly, the state really needs to increase the number of business licenses and permitted dispensaries. At present, only five companies will be given business licenses. It goes without saying that this small number will be ill equipped to handle the size of the market. Lastly, regulators need to make changes to the law concerning what is considered permitted marijuana use. As of right now, the law does not permit smoking marijuana. It only includes infused products; such as, oils, shatters, waxes, pills, edibles, and tinctures. Those who are pushing to see these issues reformed are looking for it to happen sometime next year. The expectation is that the Senate Republicans will remain obstinate, especially when it comes to reforming the law that would allow patients to smoke cannabis. Despite the many questions and uncertainty, business interest remains high. If these three changes are passed, it would open the doors wide for the business community. Entrepreneurs would be more motivated than ever to get involved. Many entrepreneurs are already digging deep into their pockets, ready to invest millions if and when these laws are reformed. As these changes take place and the market expands, more and more business will be looking for safe and efficient payment processing options. Medical marijuana merchant accounts are the perfect solution due to the easy application process, fast processing and approval and acceptance of high risk profiles. For a Marijuana Merchant Account contact us today!